Disclosure: I received the featured products to facilitate this review. All opinions and photos are my own. With March right around the corner, it can mean only one thing: St. Patrick’s Day is almost here! And that means it’s time to get out the rainbows! 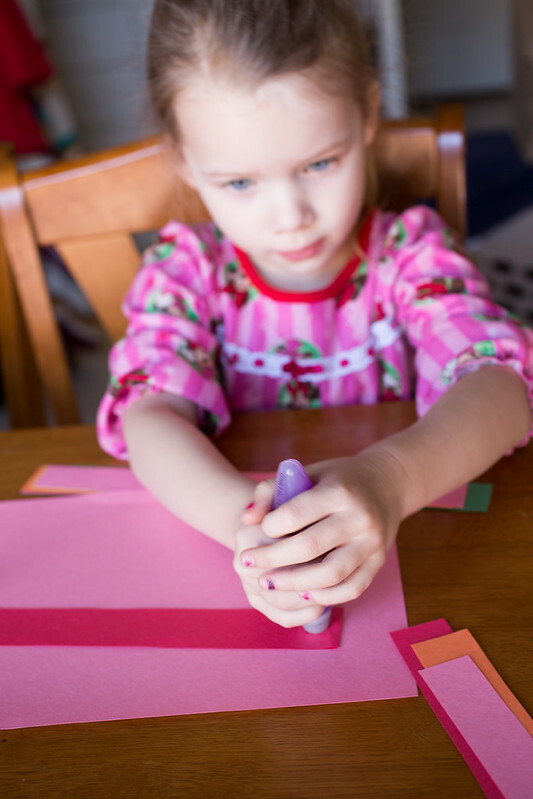 I’m always on the look-out for easy, fun crafts that we can do as a family, but most of the craft supplies out there were definitely *not* designed with preschoolers in mind! 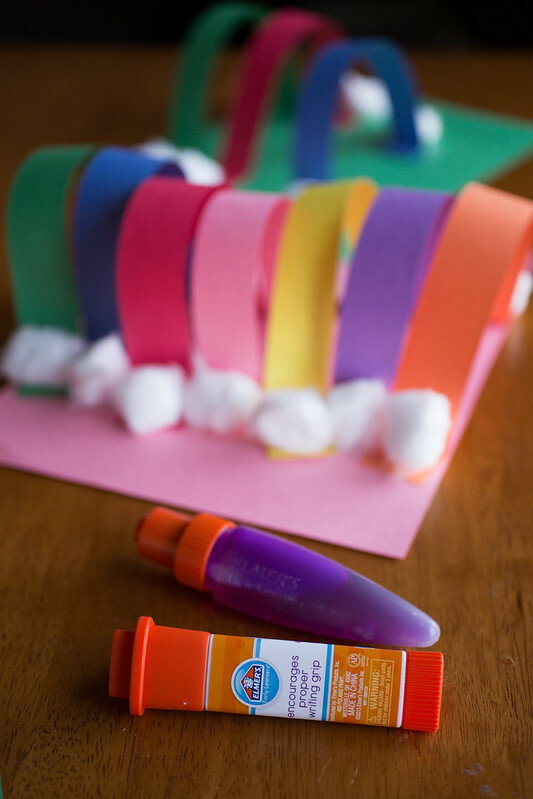 That’s why I’m excited to share this craft today, featuring the all-new Elmer’s Early Learners glue stick and glue pen. These things are genius. 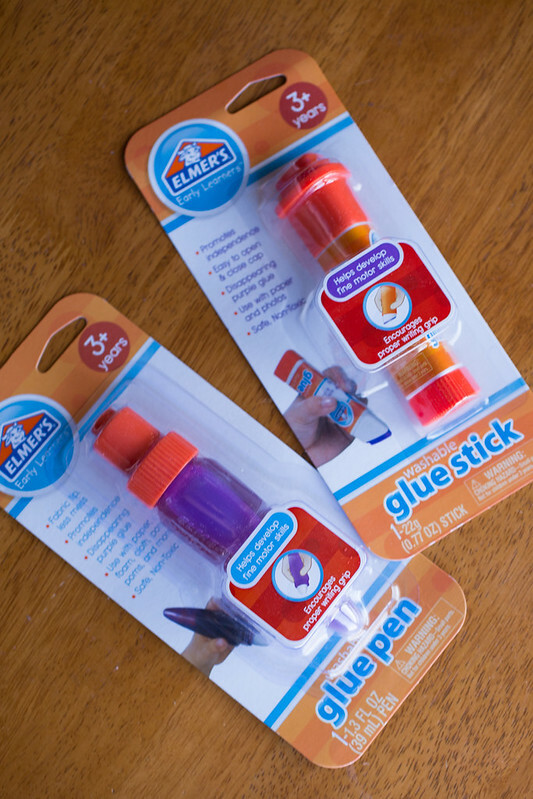 They’re bigger than the typical glue stick, which is great for little hands to grip. Plus, they’re triangular, which helps promote a proper writing grip. And the caps fit onto the back of the glue stick and glue pen — no more lost caps! 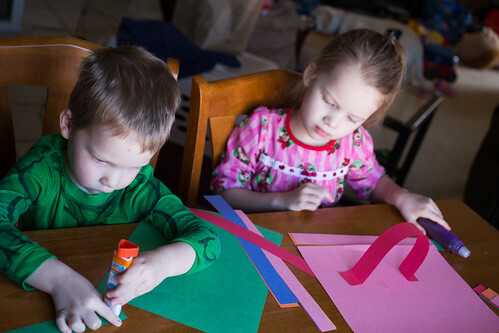 My niece and nephew came to visit this week, so we broke out the crafting supplies and put the Elmer’s Early Learners glue stick and glue pen to the test. They had a blast, and it was fun to see them get excited about using the glue sticks! Elmer’s Early Learners will be available in your local Michael’s store beginning this March! 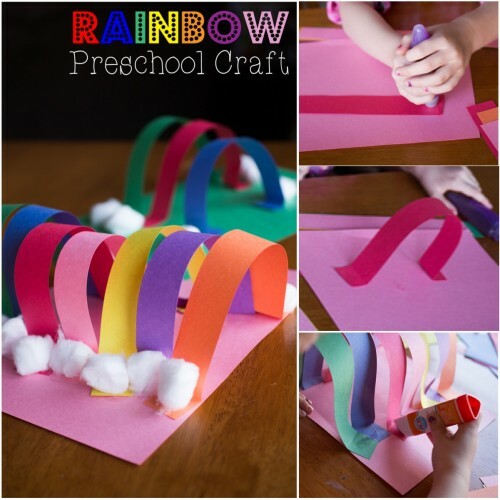 Cut the rainbow colors into one-inch strips across the width of the construction paper. Fold the edges of each strip up to create tabs. 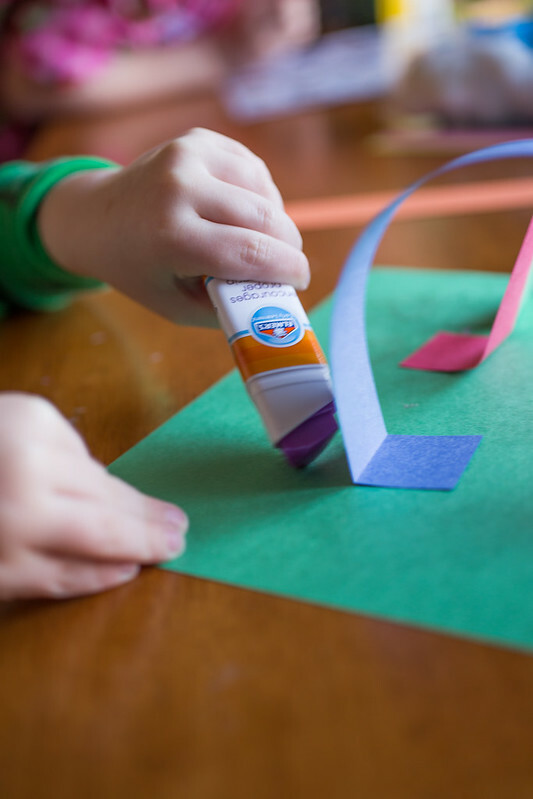 Using the glue stick or glue pen, glue those tabs down onto your paper so that the strip creates a 3D crescent over the paper. 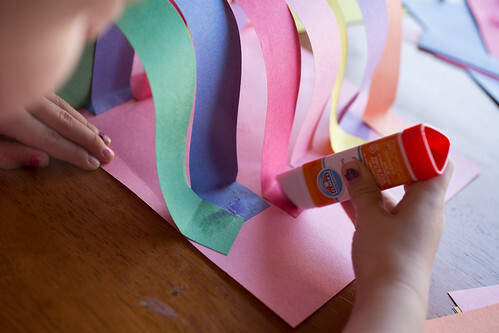 Continue gluing down the rainbow strips, placing colors side-by-side. This is a great teachable moment about the order of the colors of the rainbow. Or you can let your kids go crazy and put them in any order, like we did. 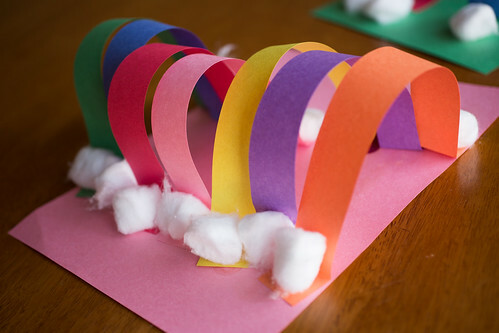 Once all the strips are in place, add glue to the outside edges of the rainbow, and place cotton balls there for clouds. All done! 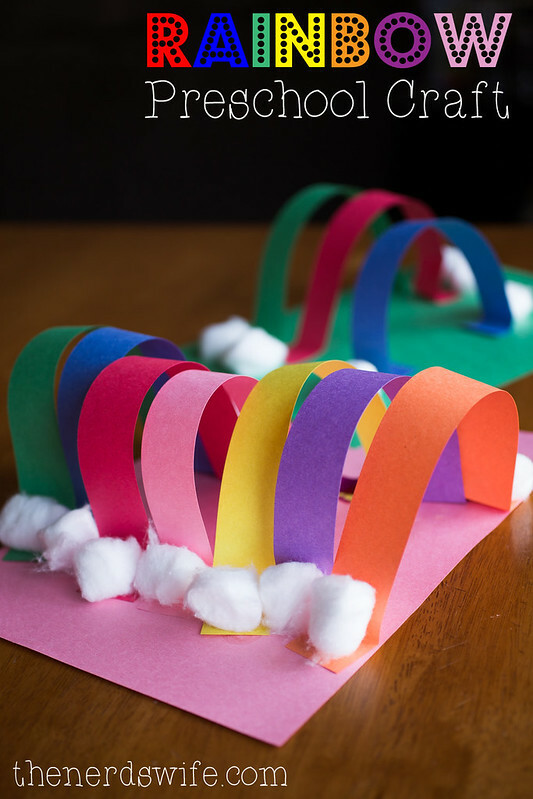 The kids *loved* making their rainbows and showing them off to their grandmother when she got home. 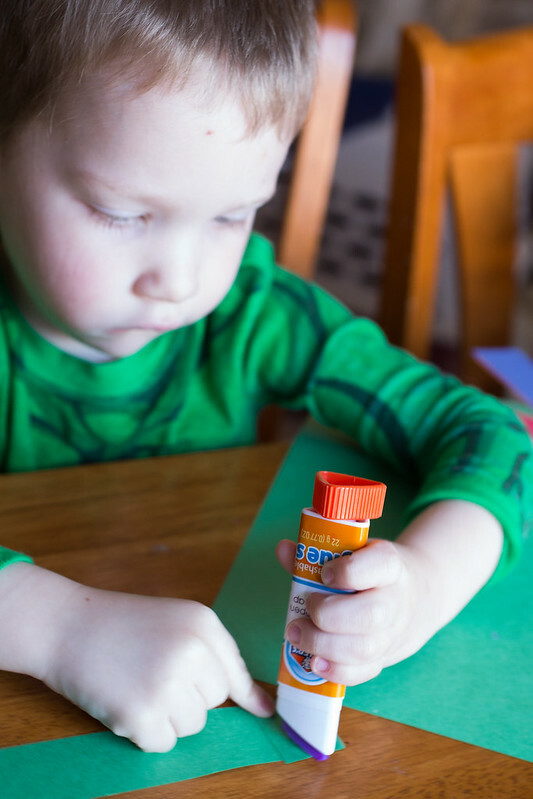 We are big fans of Elmer’s Early Learners, and I can’t wait to incorporate them in some of my Room Mom activities! 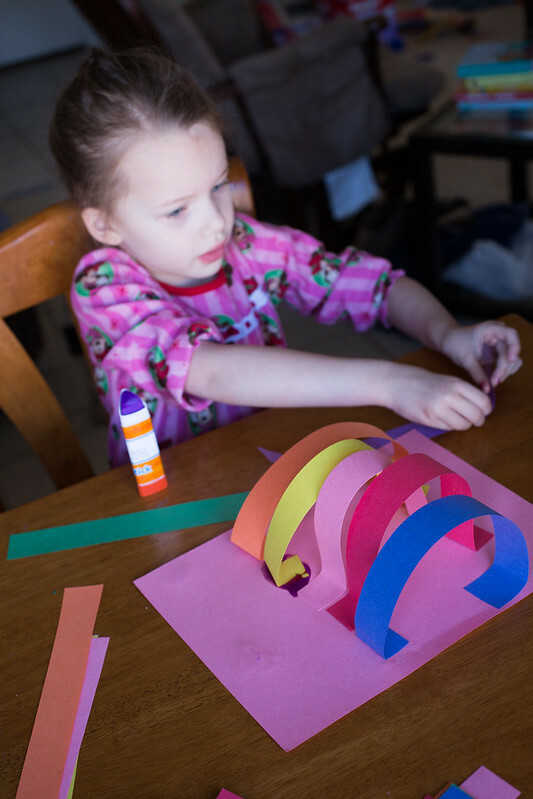 Do you enjoy crafting with your kids?